On October 15, largely ignored by Western media, the Kyrgyz people elected their new president. Sooronbay Jeenbekov, the less charismatic candidate of the Social Democratic Party of Kyrgyzstan (SDPK), won with 54 % of the votes against his major opponent businessman Omurbek Babanov, who received 34 % of the votes. The overall turnout was 56%. Against expectation, no second round will be necessary as Jeenbekov achieved a clear majority. Most analyses praised the elections as the first elections ever in which power was handed over orderly between two elected presidents not only in Kyrgyzstan’s rather young history, but across the whole of Central Asia. Kyrgyzstan’s first president Askar Akayev was ousted during the Tulip Revolution in 2005 after 25 years in power. His predecessor Kurmanbek Bakiyev, who was swept from power by mass protests in 2010, was not much luckier. After Roza Otumbaeva’s 19-months interim presidency, Almazbek Atambayev was the first democratically elected president to serve a regular term of six years. 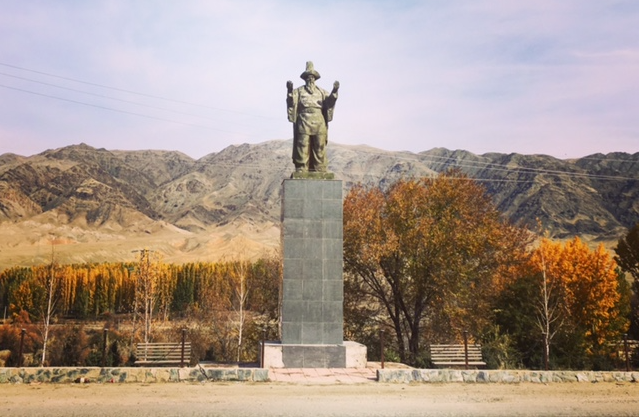 A democratic island in Central Asia? For some years now Kyrgyzstan has been praised as an island of democracy in a region known for rigged elections and autocratic regimes led by presidents, who only leave office when ousted (as in Kyrgyzstan in 2005 and 2010) or dying (as in Turkmenistan in 2006 and in Uzbekistan in 2016). In fact, Kyrgyzstan is the only Central Asian country with a mixed presidential-parliamentarian system. A constitutional reform in 2010 reduced presidential powers and strengthened parliament, prime minister and government in the wake of the riots that led to Bakyiev’s ousting earlier that year. Kazakhstan, Tajikistan, Uzbekistan and Turkmenistan have presidential systems, where all power is concentrated in the hands of a single executive. In comparison to the other states, Kyrgyzstan seems to be the democratic paragon. However, when measured against international standards, the country rather classifies as a hybrid regime. Freedom House’s annual rating, for instance, assesses Kyrgyzstan as partly free with only 37 out of 100 possible points, criticizing it for power concentration in the hands of entrenched political elites, widespread corruption and restraints on human rights activists. Also in the 2017 Liberal Democracy Ranking of the V-Dem Institute Kyrgyzstan is only number 94 of 174 countries. Nevertheless, recent presidential elections in Kyrgyzstan were outstanding in the Central Asian context. First of all, they were competitive. Voters had a choice between eleven candidates, who could campaign freely. Even the day before election it was not clear which one of the two frontrunners would win. Second, the incumbent president Atambaev refrained from running for a second term, respecting the in 2010 amended constitution, which foresees only a single six-year term for presidents. Third, voting on election day went smoothly as technical aspects and implementation were well organized. There were no signs of organized fraud, such as ballot stuffing, multiple voting or bussing. The Central Election Commission (CEC) maintained an online registry for complains and made efforts to facilitate electoral participation of persons with disabilities. Fourth, and most remarkably, there were no major protests, unrest, or violent clashes in response to the election result. Even Talas, the native province of Babanov and the place, where the 2010 revolution started, remained calm. In a country, which has experienced several incidences of ethnic violence as well as two revolutions within less than two decades, the absence of political violence around a contested election is by itself remarkable. However, excessive praise is out of place given the amount and severity of irregularities during the electoral process. While the Shanghai Cooperation Organization (SCO) already on the night of election day declared the Kyrgyz elections to be free, fair and democratic, the preliminary statement of the International Election Observation Mission (IEOM), comprising, OSCE/ODIHR, OSCE Parliamentary Assembly, the European Parliament as well as the Council of Europe, reads differently. Besides numerous procedural problems on election day, in particular during vote counting and tabulation, there were also serious structural problems in the run-up to the election, which were largely directed to Jeenbekov’s benefit. One of the biggest problems of this election was patronage. Besides his popularity in the south, Jeenbekov received significant support by the previous president, Atambaev, who stated that he wished Jeenbekov to succeed him in office and publicly supported his preferred candidate. At the same time, Atambaev made several harsh statement against Jeenbekov’s chief opponent, Babanov, thus challenging the principles of the OSCE Copenhagen Document. When Jeenbekov stepped down from his post as prime minister in August to run for presidency, Atambaev replaced him with another loyal follower, his former chief of staff Sapar Isakov. Moreover, there are allegations that Atambaev co-opted several of Babanov’s supporters offering senior government positions. During the campaign, some of Babanov’s supporters and other opposition politicians were arrested. The leader of the opposition party Ata-Meken, Omurnbek Tekebayev, for instance, was sentenced to several years in prison for corruption. Some critics accuse Atambaev of attempting to rule the country by proxy after the end of his term. The same patrimonial structures persist in parliament: anyone wanting to make career within a political party has to demonstrate loyalty to the party’s leader rather than commitment to the party’s ideology or program. It is usually only candidates that are affiliated with a party, enjoy prominent endorsement and are backed with institutional support that stand a chance to run for presidency. Independent candidates were outpaced early in the campaigning phase. The three leading contenders of the presidential election, Jeenbekov, Babanov and Sariev, all served as prime ministers during Atambaev’s presidency. Another serious problem concerned media coverage. There was a general lack of unbiased analytical coverage of the campaign. OSCE/ODIHR media monitoring of four major TV stations from 10 September till 13 October revealed that there were 68 hours of paid political advertising as compared to only 19 hours of informative campaign coverage. During those 19 hours of editorial coverage, TV stations were biased, reporting in favor of Jeenbekov, while relating negatively to his opponent Babanov. For instance, both public and private broadcasters reported on a speech that Babanov made in front of the Uzbek community in Osh, taking bits and pieces out of context, and falsely accusing Babanov of incitement to inter-ethnic hate. In the aftermath, several demonstrations took place, which OSCE/ODIHR considered as potentially orchestrated. Furthermore, both Jeenbekov and Atambayev accused the media and certain journalists of defamation several times, leading to self-censorship among journalists. Moreover, OSCE/ODIHR reported that it received credible reports of misuse of public recourses, pressure on voters and vote-buying. There were also allegations about government officials and teachers encouraging voters to vote for Jeenbekov. In one of the known cases, deputy Prime Minister Zilaliev was fired because he had urged state employees to vote for “the man, who continues the president’s policies” during a meeting in Batken city hall. Also the legal framework leaves room for criticism. It provides for ample opportunities to deregister candidates, for example on the basis of insufficient electoral funds, the validity of signatures or failure in the Kyrgyz language test. The nomination process to run as candidate for elections is highly complex, making compliance with the CEC’s requirements difficult and excluding independent candidates that are not that well organized and institutionally backed. Moreover, OSCE/ODIHR also criticizes that recent legal amendments raised the limit for financial donations to candidates’ campaigns and eliminated restrictions on the amount candidates could spend on their campaign. These amendments de-facto impaired equality between candidates as the success of any campaign depended on its magnitude and financial resources invested. Moreover, the law does not require candidates to disclose the origin of their campaign funding, challenging international standards of transparency as defined in the UN Convention Against Corruption. Another more structural issue was the under-representation of women. Among the eleven candidates there was only one woman. Other female candidates were denied registration by the CEC as they did not pass the strict criteria of the commission. This is not untypical in a country, where women are massively underrepresented in both public and private sector and where bride kidnapping is still a regular practice. In Parliament only 19 of 120 MPs are women despite a 30% quota that was introduced in 2005. In the Kyrgyz government, it is three out of 22 members, while none of the nine regional governors is female. Last but not least, due to the new system of biometric voter identification the Kyrgyz voter register currently comprises only 3 million out of 3.9 million potential voters. Especially many of the estimated one million Kyrgyz citizens living and working abroad failed to undergo biometric registration and were thus not able to exercise their right to vote. On the positive side, the presidential election demonstrated that peaceful power transfers through competitive elections are possible in Kyrgyzstan. 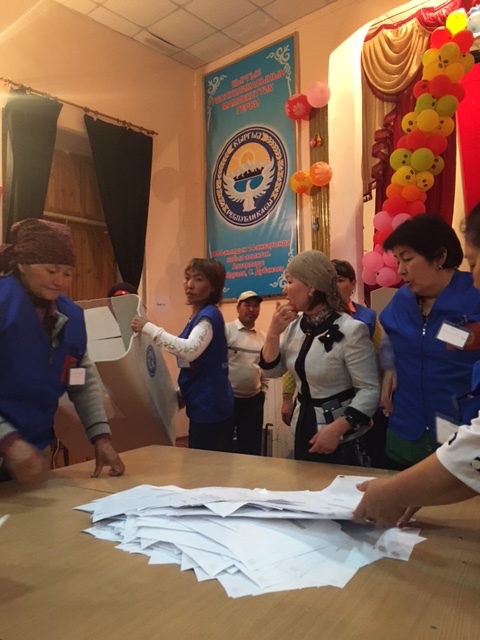 The relative openness and competitiveness of the Kyrgyz elections presents a stark contrast to the carefully prepared and staged elections in the other Central Asian states, where incumbent presidents usually are re-elected with more than 90% of the votes. Moreover, the fact that the electorate largely perceived the election and the result as legitimate, enables Jeenbekov to undertake much needed reforms against widespread corruption, clientelism, poverty, labor migration and increasing nationalism, just to name a few of Kyrgyzstan’s problems. Last but not least, there was no interference in the election by Kyrgyzstan’s most important partners, Russia and China. However, on the negative side, this election was not about presidential programs and the best proposals to govern and reform the country, but about candidates and their support networks among established elites. What is more, the election was not fair, as candidates did not have equal opportunities. Patronage networks, money and administrative resources played a bigger role than sound election programs, popularity or the quality of the campaign. Typical for hybrid regimes, candidates have to be part of established elite networks and play along the rules of the system to stand a chance in elections. Without the endorsement and support from the incumbent ruler and the system that maintained him in power, a victory of any candidate is improbable. Unlike parliamentary elections in 2010 and 2015 and presidential elections in 2011, this year’s election did not bring further democratic progress, but rather reinforced personalistic ties and patrimonial structures in Kyrgyzstan. 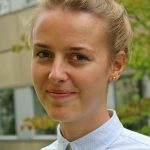 Ann-Sophie Gast is a PhD candidate at the Berlin Graduate School for Transnational Studies (BTS). 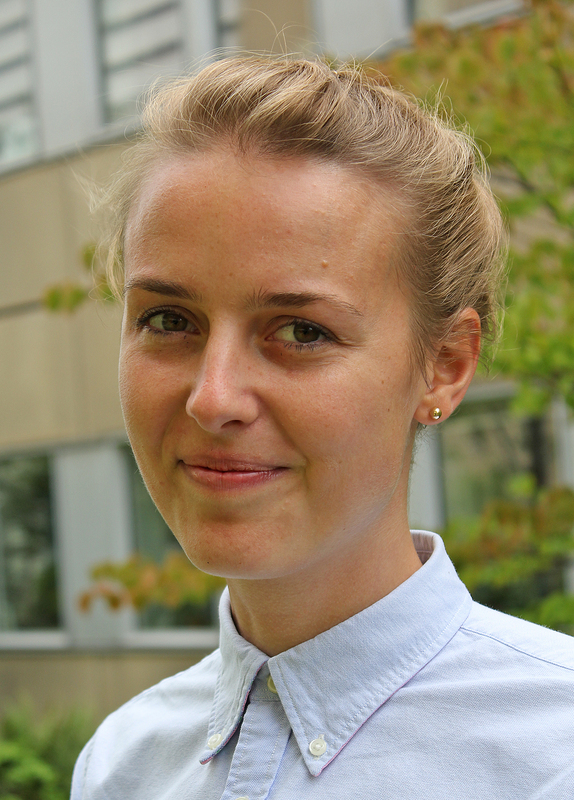 She is also affiliated with the Research Group “The Transformative Power of Europe” at Freie Universität Berlin. Her research focuses on regional cooperation and integration in Eurasia and on foreign policy of the post-Soviet states, in particular Russian interests in Central Asia. Dieser Eintrag wurde veröffentlicht in Defekte Demokratie, Demokratisierung, English posts, Wahlen, Wahlforschung von Abteilung. Permanenter Link des Eintrags.